Join us as we head back to Southern Morocco for a once in a lifetime luxury experience showing you the best of this amazing destination! We Are Travel Girls Founder Becky van Dijk, in partnership with Experience Morocco, will guide you through the must-see sites in Morocco. Together you will explore the wonders of Marrakech city, have a glamping experience under the stars in the Sahara desert, visit the coastal town of Essaouira and see UNESCO World Heritage site Kasbah Ait Benhaddou, and more! This is an active trip that will have you exploring all over Southern Morocco. The trip is fully hosted and includes all accommodation in luxury 5* hotels, meals, transportation, guides and activities, so all you need to do is arrive and enjoy the experience with your fellow female travelers! The trip will be hosted by Becky van Dijk, one of the founders of We Are Travel Girls together with a highly experience guide who will be with us throughout the trip. 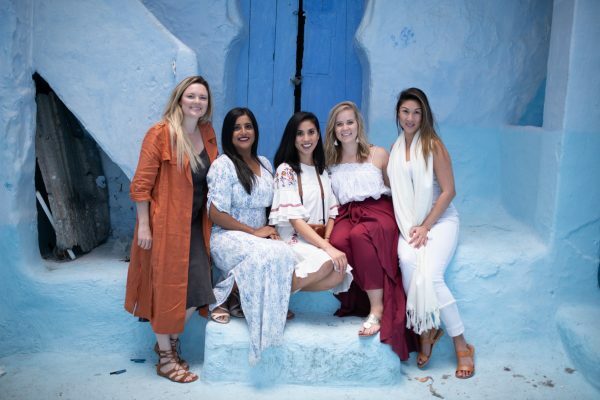 It will be Becky’s fifth time to Morocco and she is excited to experience it again with a group of travel loving women! The Morocco Getaway will show you the best of Marrakech and surrounding areas over 8 days and 7 nights. 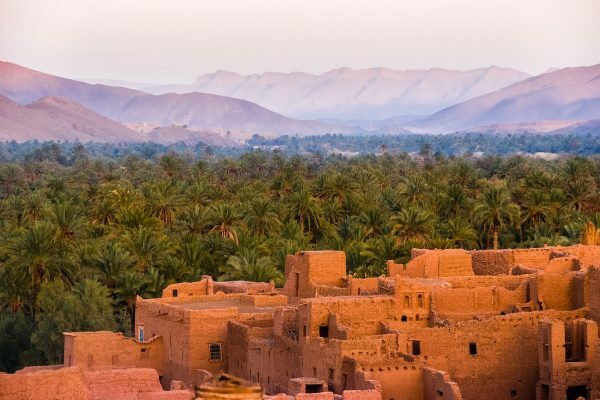 Stay in five star Riads including the Almaha Marrakech, spend the night under the stars at a luxurious desert camp, see the ancient wonders of Kasbah Ben Haddou, and more. Experience Morocco is a leading provider of highly curated, authentic trips across Morocco. Co-founded by two Moroccans who got their MBAs in the US, they have hosted over 2000 travelers over the past 5 years. We have worked together with Experience Morocco to curate a unique and luxury itinerary for this trip. We will have an experienced guide and a driver with us throughout the entire trip. Day 1 – Arrive: Guests arrive at the airport in Marrakech and we will begin our journey out of the city towards the desert. We will spend the evening in Ouarzazate where we will get to know each other at a welcome dinner at the hotel. Day 2 – Erg Lihoudi Desert: We will leave the hotel early morning and begin our journey towards the desert. You will enjoy a beautiful drive through the High Atlas Mountains on our way to the desert for a night of luxury glamping! We will take a 4×4 ride to the camp and enjoy an evening under the stars beside a campfire listening to traditional music. Day 3 – 5 – Marrakech: We say goodbye to our luxury camp and head to Marrakech. Along the way we will stop for lunch at a traditional berber village and visit the stunning Kasbah Ait Benhaddou, the set for many famous movies scenes. We will end the day at the stunning Almaha hotel in Marrakech which will be our home for the next few nights. 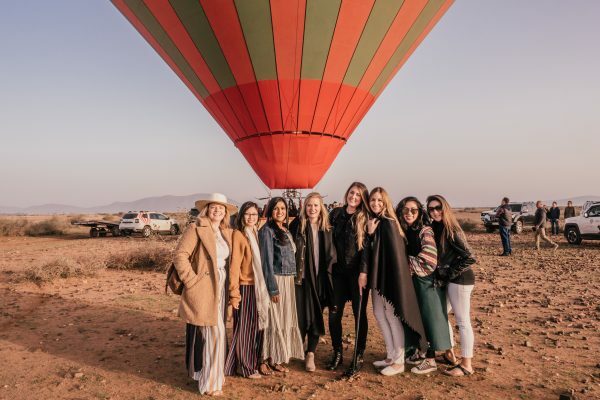 Highlights of our time in Marrakech visits to Bahia Palace, Koutoubia and Saadian tombs, traditional Tagine Cooking class and dining in the gardens of Le Maison Arabe, lunch at Amal to support this non-profit centre and optional hot air balloon ride at sunrise. Days 6 – Day Trip To Essaouira: We will get a early start to journey to the coastal city of Essaouira. We will spend the day exploring the pretty town of Essaouira with a guided tour of the medina, port and ramparts. Day 7 Marrakech – We will enjoy our final day in Marrakech with some free time to explore the souks, lunch at the famous La Mammounia and afternoon hammam treatments. There will be two afternoons with some free time in the itinerary that you can use to relax at the hotel, go out to explore or go shopping. Of course, all daily activities are optional so you are welcome to skip something in favour of some down time! We will have an air conditioned Mercedes luxury mini bus for the duration of the trip with our guide to take us from place to place. The minibus is equipped with Wifi and USB chargers. Please note Morocco is a big country and this tour does include some long driving days when we make our way out to the desert camp! Please complete the booking form to join the Morocco Getaway in May 2019. Please only complete the booking form if you are seriously interested in attending the trip, the price is within your budget and you can travel on the specific trip dates available. 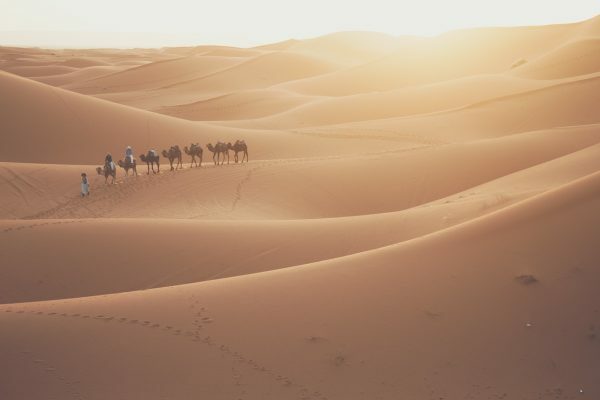 If you are interested in Morocco trips, but May 2019 does not work for you, please use our Expression of Interest form and we will keep you updated on new destinations, special offers and when bookings open for future trips. Next steps: Once you submit your booking form we will email to confirm receipt of the form and to let you know the next steps to place your deposit Experience Morocco’s secure payment page to book your spot on this trip.